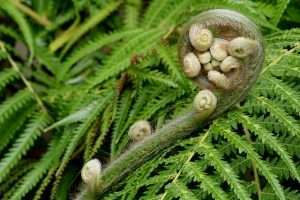 Because its grace delicacy and beauty, concealed in the shadowed glens of the forest, can be seen only by the honest searcher, the fern symbolizes solitary humility, frankness and sincerity. Fresh from a bout of rainfall, St. Aloysius College was bustling with youthful energy. Groups of students scattered around chatting animatedly in Malayalam, Tulu, Kannada and Konkani, as I asked my way around to the Loyola Centre for Research and Innovation (LCRI). The monsoons in Mangalore seemed to bring out the best of the 35-acre campus that since its conception in 1880 has come to include everything from primary school to research programmes, not to mention a chapel visited by thousands every year for its unique Baroque art. The LCRI was inaugurated almost exactly a year ago. At the basement of this building is where I was lucky to meet Dr. Smitha Hegde who, I’d learnt just the previous day, has been doing some quality work in the field of pteridology, the study of ferns. Even at the outset, it was evident that Smitha has a lot going on. As she warmly ushered me into her office, she was simultaneously wrapping up a discussion with an architect about an ongoing daily tree mapping programme. After the mosquito trouble the mappers faced yesterday, she’d remembered to bring a tube of Odomos (mosquito repellent) for the students. Her dream project is a documentary focusing on Indian science. We’d barely finished chatting about how we never hear anything about modern Indian science in mainstream media when someone knocked, reminding her about a meeting. “I’ll be there in five minutes,” she said, probably not hearing the thud of my disappointment as I heard those words. “Ma’am, I can wait for you to return, I’d really like to have at least half-an-hour with you,” I said, trying not to sound as needy as I actually was. Smitha had intrigued me just enough for this piece to already start writing itself in my head and this was my last day in Mangalore. “Oh!” she sounded surprised. “In that case, why don’t you look around my lab till I return.” She introduced me to two of her Ph.D. students Ramya and Roshni who were examining petriplates in the culture room. “I can tell you all about myself in five minutes,” she laughed, as she left. Ramya and Roshni seemed quiet and shy at first but livened up when they talked about their research. Both are from Kerala, one of them is returning to academia after a break following marriage and a child. 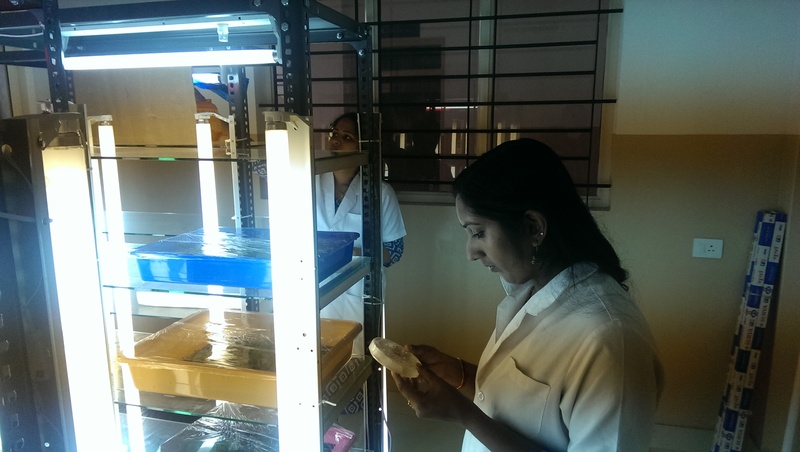 Ramya is working on hydroponics, a method of growing plants without soil. The nutrients instead come from mineral water solutions that their roots are immersed in. This strategy has a lot of promise for household and balcony gardens mainly because of its fast growth rate (the roots don’t have to search for food in the soil) and because it needs lesser water. Smitha’s hydroponics team has devised a technique ideal for local households that allows reuse of water. The mineral-laced water flows through a U-shaped tube and the mineral-depleted water is returned to a container for reuse. Roshni, on the other hand, is working on the fern plant, the science of which her mentor Smitha Hegde is most renowned for. When Smitha returned shortly after her meeting, she told me what all the fuss about the fern is about. 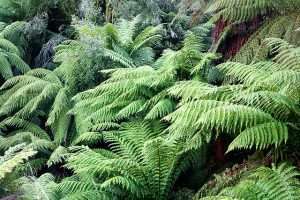 Ferns comprise one of the first plants to ever grow on land. We’re talking 350 million years ago! They continue to exist and thrive in all kinds of habitats on Earth today, all 13,600 species of them. The Himalayas and the Ghats are one of the hotspots for these plants, which vary in form but are biologically similar in that they have stems, roots and leaves, lack seeds, flowers and fruits, and reproduce via spores. 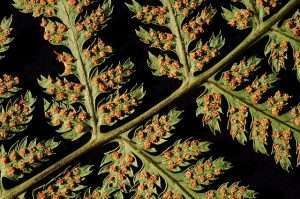 Nevertheless, it was recently discovered that ferns continue to possess flowering genes. What use they have for these genes is what Roshni is currently exploring. Smitha, in her twenty years or so of studying them, specializes in the ferns of the Western Ghats. The fact that ferns have outlived hundreds of millions of years of environmental and habitat changes automatically makes them of evolutionary interest to biologists like Smitha. Ancient tree ferns, she informs, are responsible for the petrol we have today. The plants’ hardiness is of contemporary relevance. “Ferns are adapting very rapidly to urban conditions.” This can be a problem because they end up taking over more ecologically important vegetation. 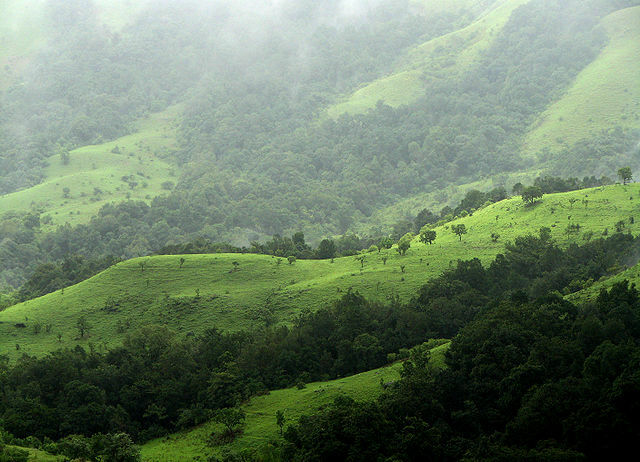 Take for example, the case of Kudremukh National Park in Karnataka which has been grappling with several forest fire incidents. These fires are a threat to the wildlife in the area, notably including the endangered lion-tailed macaque. Moreover, the fire ravaged areas are being overpopulated by a type of fern Pteridium aquilinium which is able to thrive better than other plants in this undesirable environment. However, being nutritionally insignificant and toxic, the takeover of these ferns reduces the amount of grazing land available for medium-sized animals such as deer, which are the primary prey for the tigers of the park. The Kudremukh Wildlife Division have enlisted the help of Smitha to study this problem and use her expertise to devise a strategy to manage the fires and control the spread of these ‘superweeds’. The field studies have already begun, and using GIS mapping and satellite imaging, Smitha is directing the effort while also offering students to participate and experience such research first-hand. So toxic is this situation that Smitha admits that they are not even able to afford to pay fellowship money to the PhD students. “I am hopeful that after Smrithi Irani now things will change. She was very tough on universities,” she says wearily. “I’ve written a letter to her also regarding status of funds for teaching…” This letter was about the pay discrepancy between teachers in private colleges and government ones; the former are paid only one-third as much despite being equally qualified. Smitha admits that she went through phases where the situation looked even more bleak. But instead of ‘sitting and crying’ she chose to reinvent herself and be as resourceful as possible. The one lakh she will receive for the Kudremukh project is one way she is keeping her lab running.